What Anime Or Manga Are You Obsessed With? So there is a reason why I decided to post this question today and that’s because I definitely have an anime that has just been on my mind. Now I’m sure we have all gone through that period of where a particular anime literally takes over all our thoughts. That period can either be really long or short depending on if a new show becomes the source of the obsession haha. 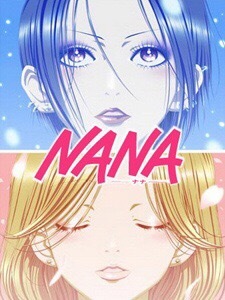 For me the current anime that I’m obsessed with is the anime NANA. I watched this anime back in August/ September but for the past few weeks it’s literally been on my mind. Maybe it’s because of the music and it also could be because of the characters but all I know is that I totally wish I could be one of the Nana’s. But what anime or manga are you currently obsessed with? Comment down below and let me know! In anime, I am obsessed with Sword Art Online, Durarara! !, Akame ga Kill, and Parasyte. SAO and DRRR because the story and the music; also, SAO does talk about video games. Akame ga Kill and Parasyte for the action and suspenseful story. In manga, I would say JoJo’s Bizarre Adventure. I am interested in the first, second, and third arc Phantom Blood, Battle Tendency, and Stardust Crusaders. I have yet to finish them. I chose Akame ga Kill and Parasyte specifically because those are the ones I look forward to in Toonami. Yeah Toonami is actually getting a hold of some really good shows. I agree, they are picking nice ones. Since it is in Adult Swim, they add more action and violent shows. Yes that is very true but I do wish they would add more shoujos shows. I totally agree with you with that point. I think with Toonami, they want anime that has some action in which I notice. Sailor Moon is an example of a Shojo series that action to satisfy the audience. I think if Toonami were to show Shojo anime, it should have some kind of action themes. I totally agree with you. I think with Toonami, they show anime with some action in it in which I noticed. Sailor Moon is an example of a Shojo series with action in it. If Toonami were to add more Shojo anime, it would have to have action for the audience. My bad, connection was acting buggy. Dogs: Bullets and Carnage and D-Frag! are the two manga that I get really excited for when I see a new book released. Both just appealed to me so much in different ways, Dogs for the brutal Schi-Fi slant and D-Frag! for being bonkers. Both I would say I am fairly obsessed with. I also really liked D-Frag! I found it to be very funny! It really surprised as I expected to dislike it. My word it made me laugh though. Same here at first I didn’t know what to expect but after awhile I got really into the show. In anime I’m currently obsessed with One Piece and Akame Ga Kill (and hopefully One Punch Man if they decide to make another season). In manga there’s One Punch Man, One Piece, and Durarara-Dollars Hen which takes place where the anime left off. I actually just started watching One Punch Man and I actually really like it.